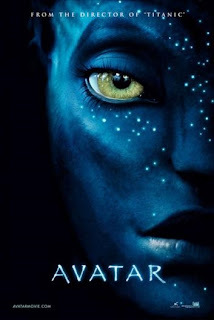 I have never quite seen any movie like Avatar in a movie theatre, in 3D. It was absolutely amazing. Part of it was because we were introduced to an amazing world that we didn't even know existed, and part of it was because of the 3D effect. I felt like I was actually on the planet Pandora, walking and running along branches that lit up every time I stepped, that the exotic plant and animals were real, that I was soaring on the back of one of the colorful, pre-historic-looking birds. Just last night, my husband and I had the opportunity to see Avatar for the second time, only this time it was in 2D. Though it was still fun to watch, it just wasn't the same as the 3D version. The feeling that I was actually a living, breathing, active member of the movie was replaced by the feeling that I was merely observing the action on the screen. It's hard to return to watching regular movies now; it's almost like going backward. We didn't know what we were missing out on before, and now we do. I have noticed a similar comparison with food. Whole food, in particular, is like 3D for the taste buds. And when I say whole food, I mean food that is as close to its original form as possible. Like whole, sprouted grain instead of refined, whole sugars instead of refined, dairy from healthy, grass fed animals vs. dairy from grain fed, crowded corral animals, whole, real salt instead of refined, organic, garden-fresh produce vs. the aging wax stuff in the stores. Whole foods have a richer flavor than refined because, I believe, nutrients actually have flavor, and when they are removed from food, as in processed and refined foods, they actually lose flavor. And I'm not even going to go into the fact that you feel way better eating whole foods than refined so you feel more alive and energetic and happy and whole and healthy and on-top-of-the-world-good. There is no other way to describe it unless you taste it and feel it and experience it for yourself. But in every sense, tasting and eating whole foods on a regular basis is like living and experiencing life on the planet Pandora in 3D. Once you've experienced it, you don't want to go back to the old stuff. Jillayne! i like your "new" blog! That is so awesome. you really know how to perfectly connect it all together! :) i like being a "diet rebel" too!